The Sunsprite Rosa is one of the most fragrant floribunda roses. Glossy deep green foliage provides a strong base for the bright yellow rose flowers whose colors remain saturated as they age. The Rosa Sunsprite has shown resistance to black spot, mildew and rust. With its strong licorice fragrance, it is one of the few roses awarded the Gamble Fragrance Award by the American Rose Society. 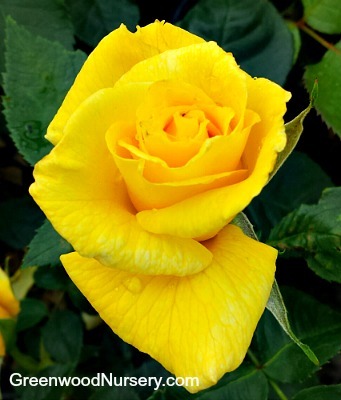 Plant your Sunsprite floribunda rose in full sun for best flowering results for its deep yellow flowers. Pair this long flowering shrub with other roses like the Miracle on the Hudson Red Rose, Bella Lugosi Daylily, and Grosso Lavender. Sunsprite Floribunda roses are grown in one gallon containers. Orders shipping to AZ and CA will be bare rooted before being prepped for shipping.